Camila Cabello left her heart in Havana and honestly, I don’t blame her. The pristine Caribbean water. The vintage cars trolling around like they own the place. The rum that’s as cheap as water (and goes down just as easily). The fact that the American government spent years telling us that trips to Cuba were illegal, so it feels like a rebellious teenage act when Americans travel to Cuba. 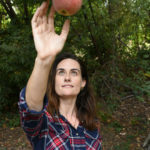 You can’t control me, 31 CFR Part 515! But, if you’re an American, how do you travel to Cuba? These days, the only issue with traveling to Cuba is actually getting there. 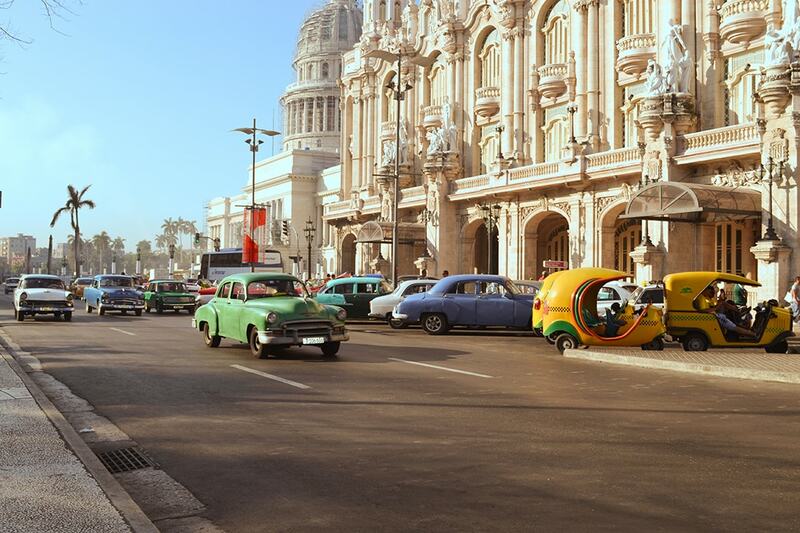 Between obtaining a Cuba visa and navigating a foreign language (if you’re not fluent in Spanish), planning a trip to Cuba might seem like more of a hassle than it’s worth. But believe me when I say it’s definitely not the most difficult thing you’ll do in your life. And if it is, I’d like to direct you to this nice machine to your left so we can trade lives. There are just a few things you’ll need to check off your pre-Cuba check list. No, I’m not talking about losing five pounds before your next beach vacation. Who do you think we are? More like understanding the visa requirements for U.S. citizens. 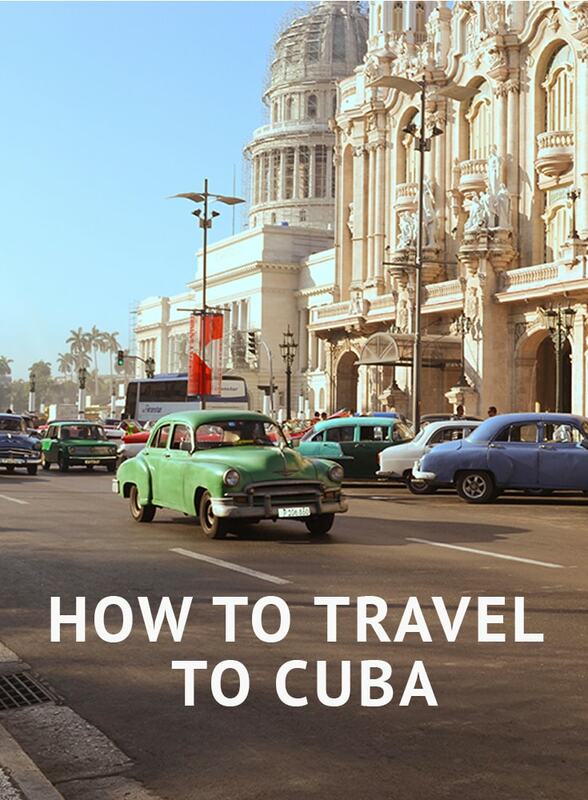 Based on my travel book-worthy trip to Havana that I’ll be talking about until I’m 80, here are some tips on how to get to Cuba, and what things you need to prep before you drown yourself in mojitos, vintage cars, Latin music, and salsa dancing. I’m going to skip the easy joke where I say you get to Cuba by plane, because I would never stoop to that level of bad dad jokes. So I am not making that joke. Got it? Don’t laugh. Stop it. Despite the news of US diplomats losing their hearing through sonic attacks (or mass hysteria), traveling to Cuba might seem impossible. And while there are a few hoops to jump through, it doesn’t take a seasoned circus performer to make the leap. So please, for everyone’s sake, leave your creepy clown costume at home. 1. Make sure your passport is up to date. 2. Decide why you’re visiting Cuba. “Support for the Cuban people” requires that you plan out a full schedule of activities that support the Cuban people. Spend money at Cuban stores. Eat at family-owned restaurants. 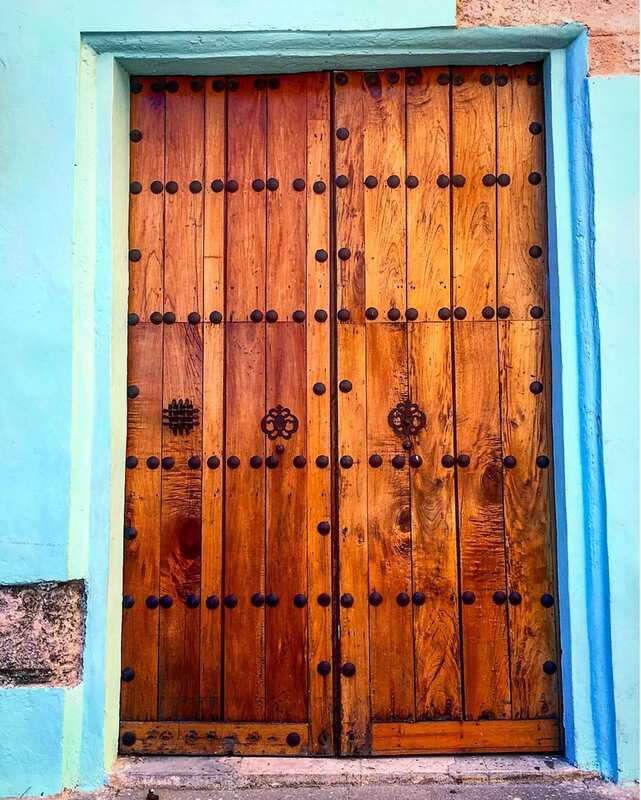 Peruse the (many) museums that boast impressive artifacts from Cuban history, like La Cabaña, the 18th-century fortress that offers a stunning view of the harbor. 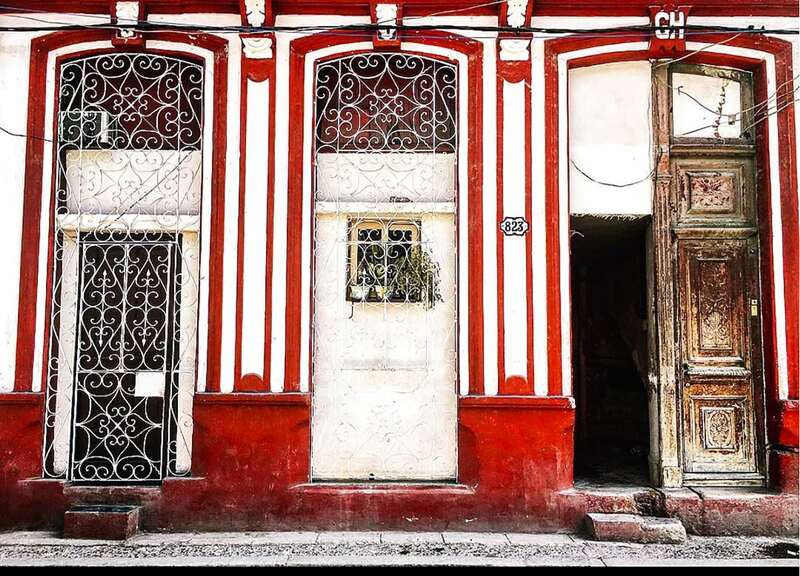 Bust out your Spanish skills and chat with a Cuban about their life and society. Don’t know Spanish? Brush up using the free app Duolingo before you go! And, yes, you can still take a trip to the beach and sip on coconut cocktails – it just can’t be all you do. The only catch is that, according to the pesky federal regulations, you will have to keep a record of all of your excursions (i.e. receipts from restaurants, stores, shows, museums, etc. ), and save it for five years. That means I made sure to ask for receipts for my two guided tours led by Cuban citizens (a half-day walking tour of Old Havana and a full-day jeep tour to the Viñales, a breathtaking rural town west of Havana with some of the best tobacco farms in the country). I have receipts for these (thanks to the endless virtual storage that is Gmail), so I have something to show if Uncle Sam ever comes knocking on my door. In the same shoebox you keep your tax receipts should do just fine. Or, snap pics of them and save them within the Receipts by Wave app. 3. Obtain a Cuban Visa. 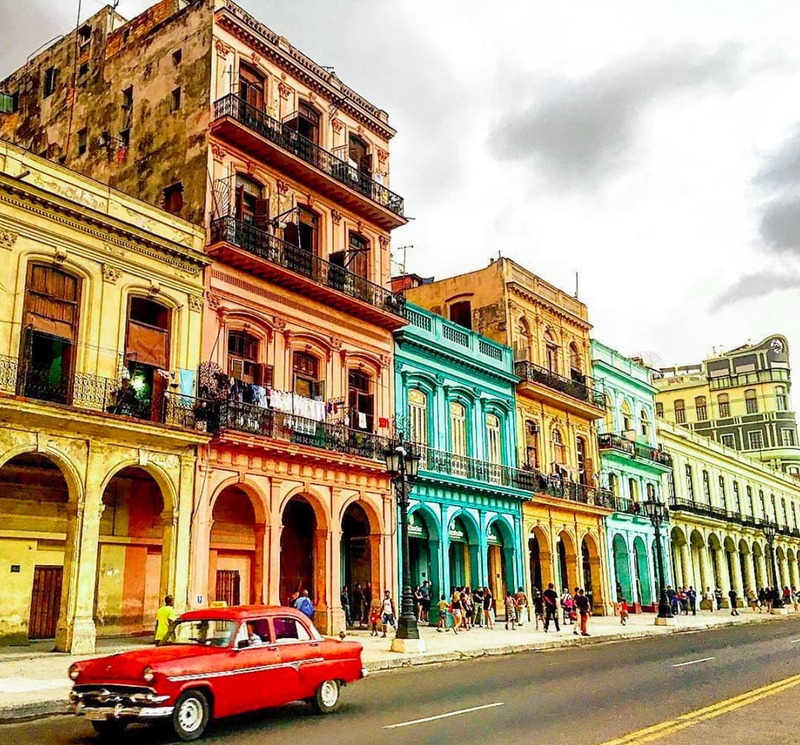 Getting a Cuba tourist visa might feel daunting, but there’s no application process for a Cuba visa – it’s granted to you when you buy your plane ticket. However, if you really enjoying sitting in waiting rooms dealing with cranky government officials, you can get yours at the embassy! You’ll purchase your tourist visa at the airport before you board the plane going directly to Cuba. Usually, visas are sold near the gate about an hour before the flight is scheduled to depart. The price for a Cuba visa varies between airlines (typically it’s between $50 and $100), and some airlines only accept cash. You should be able to find all of this information on the airline’s website, if they don’t already spell it out when you purchase your ticket. 4. Avoid the restricted list. Trump has deemed some hotels and businesses on the naughty list, so it’s illegal for Americans to spend money at them. 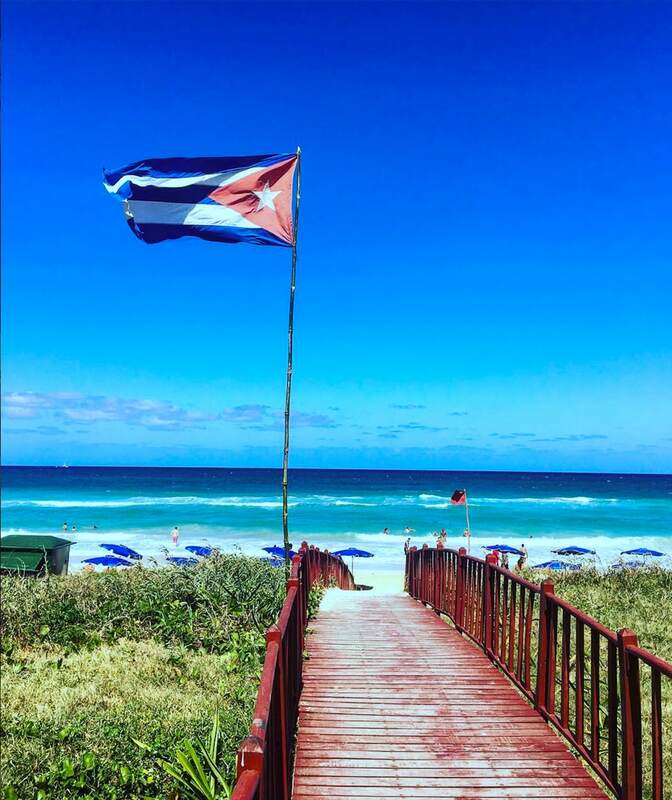 (Here’s a full list of banned Cuban hotels and businesses.) How will the U.S. government know if you do? Remember those receipts? Most of the well-known hotels in Havana are approved for visits. Unfortunately, Hemingway’s favorite, the Hotel Ambos Mundo is not, but the Hotel Saratoga that hosted Beyoncé and Jay-Z is, but hotels run about $500 a night for a room, minimum. A more economical option is to stay at an Airbnb, or a casa particular (which are similar to bed and breakfasts). You can find good options through the Airbnb website, or peruse through some casa particular options online. Similar to booking a room in the US, read the reviews to get a sense what the accommodations are like. Congrats, you figured out how to get to Cuba! But…you’re not quite done with the process of planning your trip yet. Here are a few more important things you need to know about traveling around Cuba, in case you weren’t totally overwhelmed already. Hey, foreign travel isn’t for the faint of heart. American credit cards do not work in Cuba. Let me repeat that for everyone who likes to skim read: Cuba is cash only. You will not be able to use any credit or debit cards in this country–hotels and airport included. It’s also not worth bringing Traveler’s Checks issued by US banks because they can’t be cashed in Cuba, and you can only use them in a handful of specific hotels. Traveler’s Checks issued by non-US banks can be cashed at banks and branches of CADECA (currency exchange houses) in Cuba. But either way, they’re not insured in Cuba so if you lose them you’re SOL. Use this as an excuse to feel like a high roller for once in your life and pull out a wad of $600 before you leave. Toss it into the air. Then pick it back up again, because you’re going to need it. What’s the exchange rate from USD to Cuban currency? There are two Cuban currencies: Cuban pesos (CUPs) which are used by locals, and Convertible pesos (CUCs) which are used by tourists. One USD equals one CUC, and one CUC equals about 26 CUP, depending on the day. 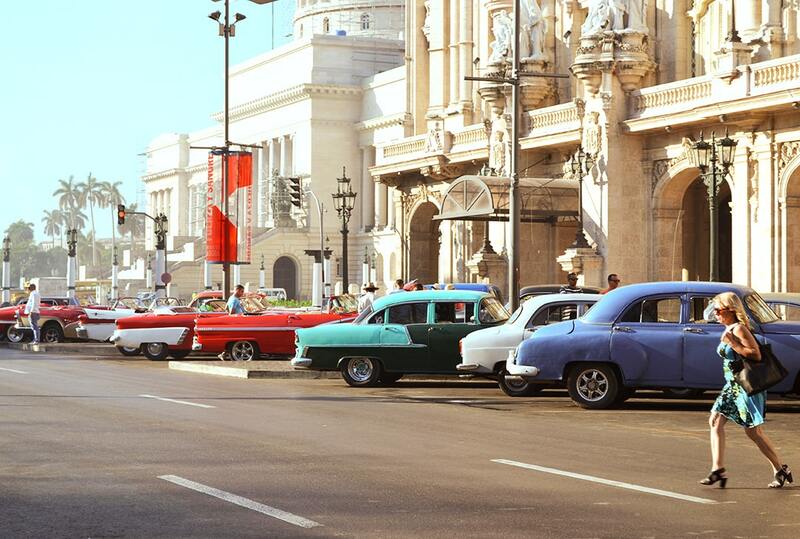 While you’re traveling in Cuba, you’ll be using CUCs. They’re accepted everywhere. If you exchange USDs to CUCs, there is a 10% tax. However, there is no tax for converting Euros to CUCs. Depending on the exchange rate between USD and Euros, it might be in your favor to exchange your USD to Euros then Euros to CUCs. Save some money by doing this exchange and treat yourself to that extra mojito you were going to have anyway. How much money should you travel to Cuba with? Things are relatively inexpensive in Cuba – three pesos for a cocktail, four pesos for an indulgent meal, five pesos for a 20-minute cab ride…rarely will you pay for anything that costs double digits. A one to three CUC tip after tours is sufficient. For my 4-day, 5-night trip, I brought $600 dollars in cash, but only ended up using $400. (Disclaimer: this does not include our lodging, a half day walking tour of Old Havana, or a full day trip to Viñales, with lunch included. We paid for these online before our trip) If you want to play it safe, budget about $150 per day (not including lodging). Again, Cuba is cash only. You will not be able to access any funds unless you bring it with you in the format of cash. There are no ATMs, no cash-back options at a store. You might as well leave your debit and credit cards at home because they will. not. work. in. Cuba. If you decide to ignore this crucial bit of information, you’ll have to make friends with someone who has an account at a bank in Cuba, convince them to let you wire money into their account, and hope they’re trustworthy enough to give it to you. I might have been raised in the Midwest, but I don’t even trust strangers that much. Unless they have candy. 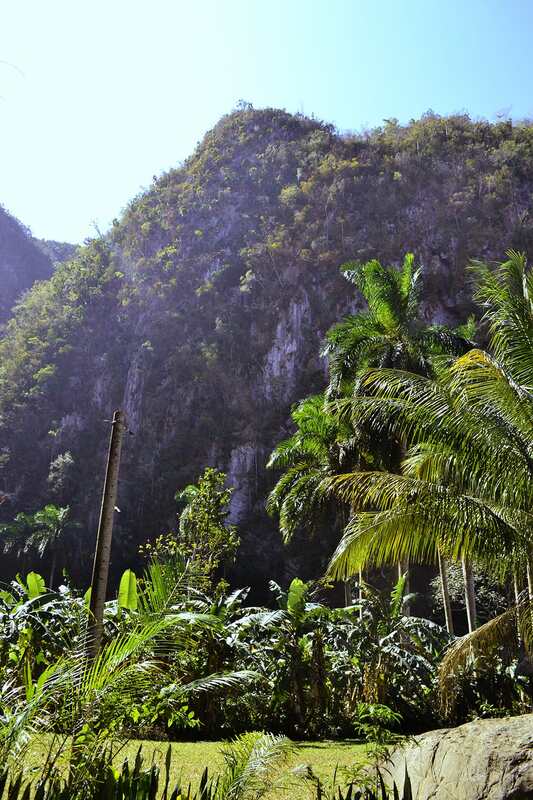 There is no free Wi-Fi or cell service in Cuba. Great for preventing yourself from obsessively checking your ex’s Instagram, but it makes navigating a little difficult if you’re the type to use Google maps to get from your front door to your mailbox. Havana isn’t too big, but I recommend downloading maps ahead of time so you can access them offline. Or you can use one of those vintage paper map things that open once and then double in size ever day after that. I’ve said this already, but I’ll spell it out again: Cuba is a foreign country. This means that many certain amenities don’t exist there. But that doesn’t make it any less wonderful. It just means that you should be prepared with a few travel essentials. Toilet Paper and Soap/Hand Sanitizer. Bathrooms with toilet paper are few and far between and that may go for where you’re spending the night as well. The three-person Airbnb we stayed at had one roll to last the whole week. The same goes for soap. Your boarding pass. This is your proof of insurance if anything happens and you need to go to the hospital. Mosquito repellent. I love a good tropical climate. Unfortunately, so do mosquitoes, especially during the rainy season. You’ll be hard to come by any repellent once you get to Cuba, so think ahead and pack your own. Sunscreen. Same goes for sunscreen. Drug stores aren’t really a thing in Cuba, and if you do find a place that sells sunscreen (like a hotel), it will likely be pricey. So get yourself a 3oz bottle of sunscreen and protect yourself against wrinkles and skin cancer. Btw, Why Was It Previously Off-Limits for Americans to Travel to Cuba? The rocky relationship between the US and Cuba began in 1958 because of an armed conflict between rebels led by Fidel Castro (who went on to govern the country) and the President Fulgencio Batista. The conflict violated the US policy that permitted the sale of weapons in Latin American countries “provided that the arms are not used for aggressive purposes,” so they enacted an embargo on arms shipments from the US to Cuba. Over the next four years, the conflict between the two countries increased, eventually leading to President John F. Kennedy to prohibit U.S. citizens from traveling to Cuba and barring Americans from making any financial transactions with the country. This means no Americans could (legally) travel to Cuba, no US companies were allowed to operate in Cuba, and, to the dismay of many, no more access to Cuban cigars. In 2011, President Barack Obama lifted some restrictions on the ban, allowing certain groups such as students and religious missionaries to travel to Cuba. Over the next five years, Obama began to unwind more of the restrictions, allowing Americans to obtain visas to visit Cuba for humanitarian projects, religious activities, athletic competitions, educational activities, and more. Americans rejoiced the opportunity for a new travel destination, while the rest of the world mourned the loss of a Patriot-free vacation spot. In November 2017, things changed again when President Donald Trump placed some restrictions on those visas and created a list of 180 businesses (hotels, stores, etc.) American travelers are forbidden to support while visiting Cuba. In this ever-turbulent political environment, the following information may become outdated five minutes publication. Stay informed on the latest traveling restrictions by checking out this briefing from the U.S. Department of the Treasury Office of Foreign Assets Control (and then say that five times fast). Somebody take me to Cuba immediately!!! Thanks for the fun facts and helpful tips! Just back from 15 days in Cuba, traveled as an individual via Mexico both ways under the support for the Cuban people and journalistic activities categories. Applied for a Treasury Dept license but didn’t received it before travel. Only got an auto confirmation they received my request. Kept that email on my phone, in case US Customs asked about the license. Friends are concerned that I plan to return to Cuba for 17 May Gay Pride events, the same way with no license via Interjet’s service out of Cancun, buy the visa from the airline and inform US Customs that I am back in Havana for direct support of the Cuban people. Should I be worried about a quick return visit without the license? As for traveling to Cuba from Mexico and then flying back into the US, I would suggest calling Interjet to see if they have any suggestions. If you’re traveling from the US to Cancun, and then Cancun to Cuba, that would make sense as just part of a multi-city travel route where you had different connecting flights. I’ve seen a few comments online where people have done USA > Mexico > Cuba > USA, and there were no warnings against that. But I would absolutely print out your travel plans, so you can show officials your full travel itinerary and indicate to them where you started and ended. And as for the timing, nothing I’ve experienced has suggested that trips taken close together are an issue. I actually ran into a group of people on my trip who lived in Florida and liked to make frequent trips down to Havana over the weekends. But, that’s not a guaranteed answer, just my experience. I think having the right visa from the airline is of big importance here — your airline (either Interjet or your airline returning to the US) might be able to provide more insight. Thank you! Let us know if you have any other questions about traveling to Cuba and we’ll try and answer them for you.